Got this recently- no use to me so hope this helps someone! 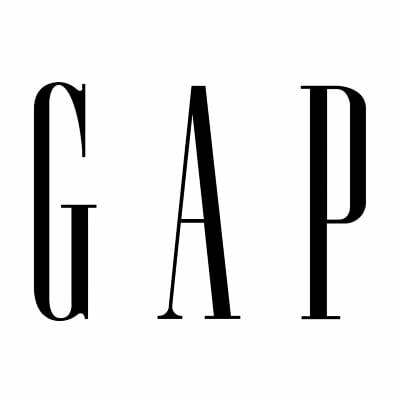 Terms: Offer applies at participating Gap stores and concessions in the UK and Ireland and online at gap.co.uk from 00:00 GMT 24 April 2018 GMT to 23:59 GMT 19 May 2018; subject to stock availability. Not available at Gap Brompton Road, Gap Norwich, and Gap Outlet stores. To redeem this offer in store, present this voucher at the till. To redeem this offer online, enter your unique code at checkout. Discount applied at register in store and at checkout online. Offer valid on full priced items only. Offer is one-time use only. Any unused value will be forfeited. Offer excludes baby shoes, toddler shoes, kids’ shoes, cashmere products, leather products, purchases of gift cards, and shipping charges. Offer also excludes GapBody / Love by Gap in Gap stores, concessions, and Gap Outlet stores. No copies whatsoever accepted. Gap reserves the right not to apply discount where it suspects fraudulent use. Not valid for cash or cash equivalent. No adjustments on previous purchases. For further information – contact helpline Gap: 0800 368 0674 (from the UK) or 001 614 744 3997 (outside the UK); or email custserv@gap.eu for details. GPS (Great Britain) Limited t/a Gap (Company Number 02275771), Gap Europe Limited (Company Number 6279672) and Gap Stores (Ireland) Limited (Company Number 422253) c/o TMF Corporate Services Limited, 6 St Andrews Street, London, EC4A 3AE© Gap 2018. Reason code: 343. These codes are almost always single use, so not a great deal post. Bit rude of someone to use it and not even thank the OP, however.